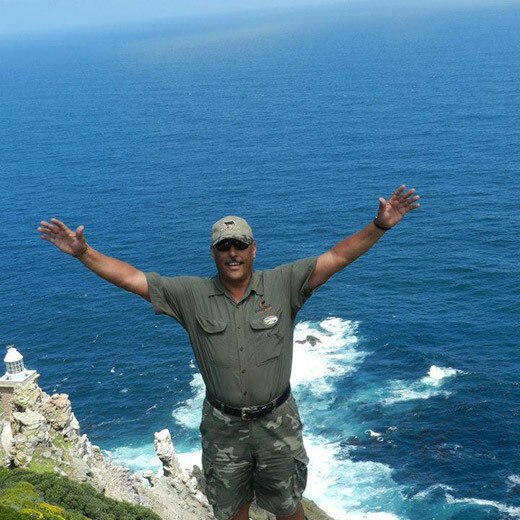 Park to Park offers visitors a tour starting with your arrival at Johannesburg International Airport to the magnificent Kruger National Park in, on to the majestic Hluhluwe National Park and then on to Isimangaliso Wetland Park, a world heritage site. 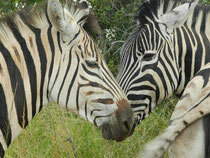 Plenty to see and do in between before returning to Johannesburg. Arrive in Johannesburg. Here you can exchange money or (easier) simply withdraw cash from an ATM in the airport. Depart for Kruger National Park. A lunch stop in the old but typical early settlers town of Dullstroom. Time allowing we can take a short walk through town. There are many small antique shops and stalls in this very picturesque town. Onward to Phalaborwa where we will spend the night at Arimagham Guest House. Phalaborwa is a town that is situated right on the park border and Kruger Gate is one of the main accesses into the park. Dinner at the guest house. Early wake up, a quick coffee and into the park by 06H00am. This will give us a better advantage for great sightings and more time to enjoy them. Breakfast will a little later in the restaurant at Olifants Rest Camp which we will reach via the scenic route along the Olifants river itself. 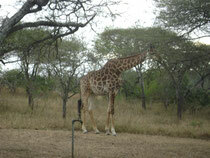 Skukuza Rest Camp is our next overnight stop where we can enjoy walking around, camp is also fenced. enjoy a relaxing drink or sundowner and then gather for dinner in the camp restaurant. 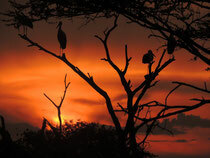 This is the last night in the Kruger...so enjoy the evening and the sounds around you! Just as yesterday...but maybe not that early, coffee or tea at 07H00am as we leave the camp en-route directly for Phabeni Gate where we leave the Kruger National Park, hopefully with very happy memories and an appreciation of all you had the opportunity to experience. From Phabeni Gate there is a short drive to Hazyview where we can have breakfast before moving on to Graskop via the Panorama Route. This route has some of the most breathtaking scenery in South Africa. stops along the way will allow us to enjoy these awesome views: Daan's Place will be our overnight stop and hopefully with some time on our hands we can stroll around the little scenic town of Graskop before dinner at a local restaurant. Breakfast in Graskop at the "best" pancake restaurant, dare I say, anywhere!!! Just about anything, catering for a really wide range of tastes. Eat well, we have a long days drive ahead (600km)! 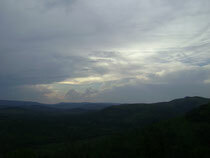 We head down south to Hluhluwe in the beautiful province of Kwa-Zulu Natal. There will be a break for lunch in Piet Retief before we get underway on the final stretch to Bushbaby Lodge in Hluhluwe. And a home cooked meal for dinner. After a long days drive it's time to slow down a bit. Enjoy relaxing breakfast then we visit Zulucroc Reptile Center. Get up close to some of South Africa's deadliest snake species after which we get to know all about crocodiles. The restaurant has a restaurant and serves really good food so we have lunch here. Back to Bushbaby for a bit more R&R before we leave at 15H45pm for a short drive to Emdoneni Cat Rehabilitation Center. 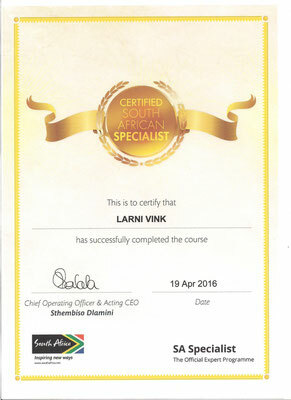 An awsome experience awaits. Fantastic opportunity to get really up close and personal with various cat species not often seen during the day except for the cheetahs, which is the real highlight. 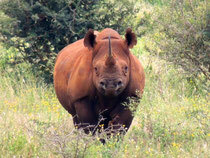 You enter the enclosure with the two brothers "Juba" and "Moyo"...great photo opportunities! Emdoneni has a fantastic restaurant in an exquisite setting. A really wonderful end to the day with a superb dinner. After the easy day yesterday we are back into it! 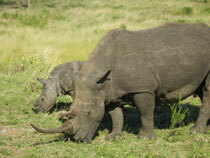 Wake up at 05H00am and head off to Hluhluwe-Imfolozi Game Reserve. A vastly different park in comparison to the Kruger Park but one of South Africa's favourites. 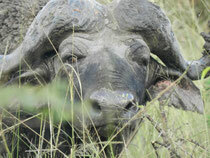 Our aim is to get into the park by 06H00am, early morning and late afternoon are generally the best viewing times. Breakfast will be at Maphumulo picnic site at about 07H30am. Slowly we will make our way to Hilltop Camp and here we take a lunch break...the terrace over looks the vast Hluhluwe river valley far below. We leave the camp and travel toward the main gate then stop in at Dumazulu Traditional Village and experience the Zulu cultur and lifestyle as it was in days gone by, and in some places still does. We will enjoy a tradtional South African "braai" for dinner back at Bushbaby. 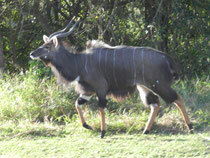 A nice relaxed breakfast then some time to wander around the lodge grounds. 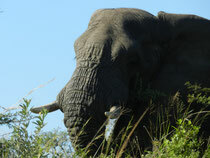 Be ready to leave by 09H30am for Bayete Zulu for some elephant interaction. Unfortunately no lunch available here so we can decide, either a traditional Zulu lunch at Dumazulu or lunch at Emdoneni, we have been to both venues, so the choice is yours. A short stop at Bushbaby to freshen up before we take an afternoon drive through Hluhluwe-Imfolozi Park. We should leave Bushbaby by 14H30pm to maximise the viewing time in the park. Dinner this evening is at a beautiful restaurant called Amorello's just outside Hluhluwe. 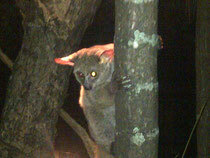 Return to Bushbaby for the last night at the lodge. Day 9: B, D. Off to Cape Vidal via Hluhluwe-Imfolozi Park. Once breakfast is done we say "Goodbye" to Bushbaby Lodge and take the scenic route to St Lucia via Hluhluwe-Imfolozi Park. 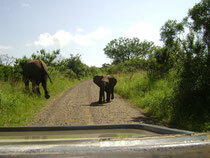 The road takes us to the other half of the park to the south, Imfolozi. A visit to Centenary Centre offers the best opportunity to shop for curios and the food on offer at the caffeteria is very good too so we take the lunch stop here. 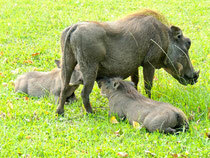 The center has a museum of the developement history of the park and conservation as a whole in South Africa, particularly Hluhluwe-Imfolozi Park. We have be on the way out of the park by 14H00pm...We must go shopping! St Lucia is the only place we can get what we need for our stay at Cape Vidal. 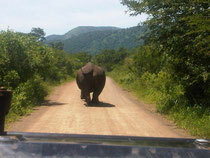 St Lucia is the only way into Isimangaliso Wetland Park, a world heritage site, to get to Cape Vidal. While the camp is very well equipped, there is no restaurant and only a very small shop with limited supplies. Our accommodation is a fully equipped, self-catering log cabin with everything we need for our stay including bathrooms, toilets, kitchen, furnishings, braai, bedding, etc. The cabin is serviced daily by camp staff. We have a braai for dinner. Day 10 : B, L, D. ......some free time to relax a while! Given the pretty busy days before today we take it easy and just unwind. A leisurely breakfast then we can spend the day on the beach. Activities include swimming, snorkelling, taking a long walk on the beach, exploring the rock pools, stroll through the camp (lots of animals to see) or simply just relax on the beach. 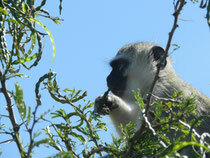 Lunch and Dinner can be enjoyed either at the cabin or at the beach, be aware of the Vervet Monkeys though....or you go hungry! Breakfast at 07H00am, we will explore the park as slowly make our way back to St Lucia. In town we can have lunch at a wide range of restaurants then take a walk in the towns main street, shop and look around before we go on a boat cruize on the St Lucia Estuary...lots to see, be on the lookout for hippo, crocodile, various antelope, elephant and buffalo along the banks. Dinner braai at cabin. We are in no rush to leave I guess, so those who wish can sleep in and those who want to go for a last swim in the Indian Ocean or a walk on the beach before breakfast are free to do so. We must check out before 10H00am so we have breakfast around 08H30am. Because we are inside the park we get to view what we can on the way out, even doing a few loop roads if you wish. We will be heading toward Natal Spa, an inland resort between the towns of Vryheid and Paulpietersburg for an over night stop. Along the way there is village craft market we will stop at before continuing on toward Paulpietersburg. We will stop for lunch in Pongola or just before Pongola. Natal Spa is a luxury resort with great facilities. Hot Springs, swimming pools, water slides, poolside bar, restaurant etc. the rooms are well fitted and quite a change from what we'd been accustomed to over the past few days. Here we will spend our last night together in South Africa...a time to recap, relive, recall and just re-gather ourselves as we reflect over all we've experienced. Our last breakfast together before we leave for Johannesburg. There is no rush to get going as we have lots of time to get to the airport with a lunch stop in Carolina. we should reach the airport in good time so that you can check in at your leisure. Sadly then I "Hamba Khahle uyaKhaya". Safe Journey home!